Finding a truly good dust mite mattress cover can be a blessing for a lot of people. Such a cover relieves allergies, asthma, and other respiratory problems, it protects your mattress from moisture and fluids, and it keeps dust mites and often even bed bugs away from your bedding. Too many mattress protectors achieve that at the cost of too much comfort loss, however, so finding a truly good product can take some time. With dust mite, in particular, being an invisible and unnoticeable scourge in the lives of millions of people, dust mite mattress covers are often invaluable. Too many of us suffer from respiratory or allergic reactions to dust mites without even realizing it and even when they do it can be complicated and daunting to find a dust mite mattress cover that truly works. To that end, here are our Top 3 and Top 10 lists of suggestions for the best dust mite covers on the market right now. After that, we’ve followed them up with a quick guide on how to choose and use them. The SafeRest Premium mattress protector is great for asthma, allergies, or respiratory distress. What makes this one of the best dust mite mattress cover items on the market is its excellent hypoallergenic quality. For people with any kind of respiratory distress, be it allergies, asthma, or any other, the SafeRest Premium dust mite mattress cover will have your back – literally. The mattress cover is also waterproof which is excellent, as well as comfortable to sleep in. It can be a bit noisy, however, which might turn some people off. Also, exercise extra care when laundering and drying it off. These SafeRest Premium dust mite proof covers are impressively hypoallergenic and work wonders for people with asthma, allergies, perspirations, eczema or other respiratory problems. The cotton terry surface of this dust mite mattress protector is also waterproof and will successfully keep your mattress safe from any spills and fluids. The breathable membrane of this dust mite mattress cover makes sleeping in it very comfortable and pleasant. The 10-Year warranty of this SafeRest Premium dust mite mattress encasement gives plenty of security. This dust mite proof mattress cover is registered with the FDA as a class 1 medical device. This SafeRest dust mite mattress protector can be a bit too noisy for some people. This dust mite bed cover takes quite some to dry off after washing. 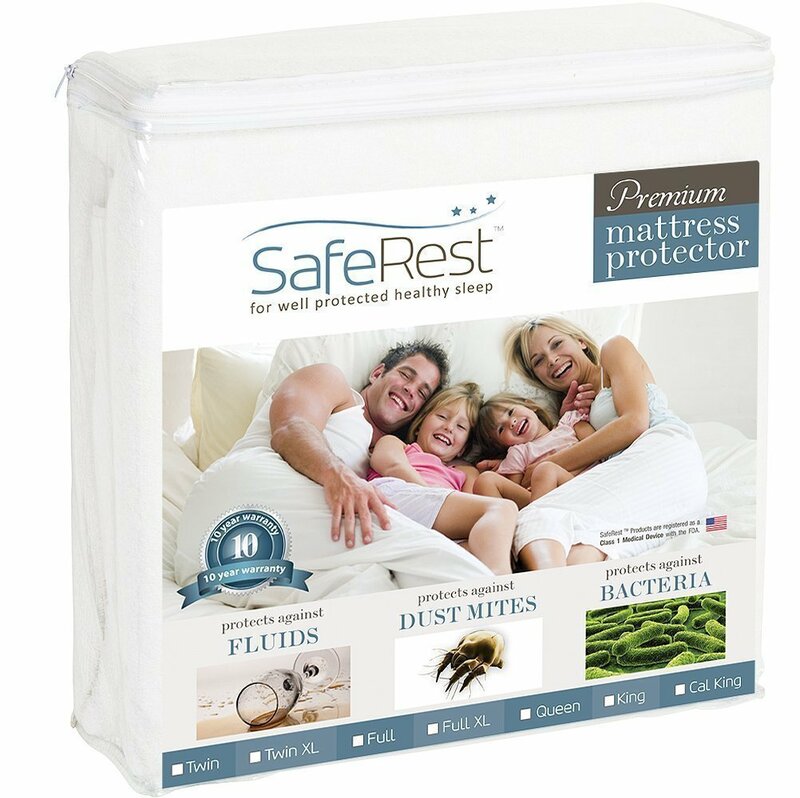 This SafeRest Premium mattress cover is among the best mattress for allergies to dust mites thanks to its waterproof and hypoallergenic properties. It can be a bit noisy and time-consuming to dry but that’s worth it for most people. This Sleep Defense System dust mite cover shows excellent waterproof and hypoallergenic qualities. What puts these Sleep Defense System dust mite proof pillow and mattress covers in the top of everyone’s lists are their waterproof and hypoallergenic qualities. Excellent for any customer with respiratory problems such as allergies or asthma, these covers will go a long way to help. 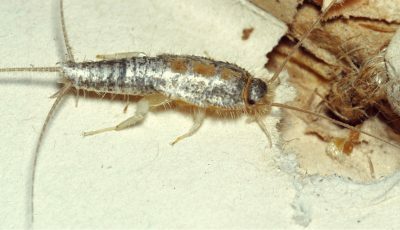 They are also bed bug-proof which is another big plus. The zipper design can be a bit flimsy, however, so be careful with that. Also be mindful of the fact that these covers can retain some heat, especially during the summer. The excellent hypoallergenic properties of this mattress encasement make it one of the best dust mite mattress cover on the market. This Sleep Defense System mattress cover also showcases impressive waterproof qualities which is great for people who tend to sweat or release other fluids in bed. The extra-soft polyester fabric of this mattress is almost surprisingly pleasant and comfortable to sleep in. The Sleep Defense System mattress cover is also 100% bed bug proof. This dust mite mattress cover can retain some heat which would be problematic for some users. This is an excellent product if you need waterproof properties. 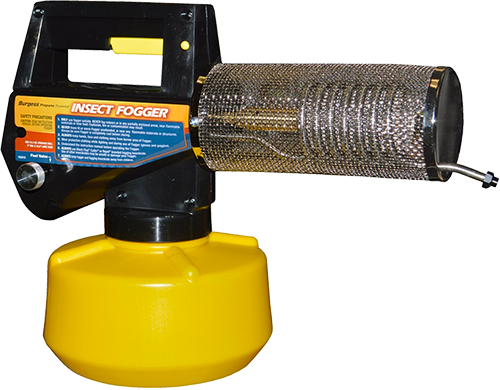 It’s also hypoallergenic and dust mite proof, as well as bed bug proof. This mattress cover brings hypoallergenic and waterproof security without sacrificing comfort. The SureGuard dust mite mattress protector demonstrates great hypoallergenic and waterproof properties. 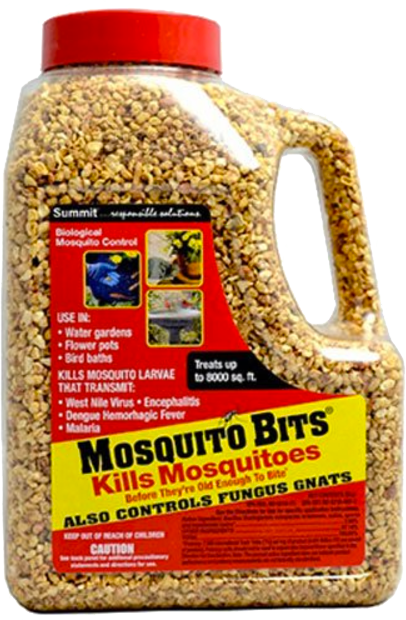 It whisks moisture away and helps with asthma, allergies and other respiratory conditions. It is also very comfortable to sleep in which can’t be said about most of its competitors. The one major downside of this product is that it doesn’t encapsulate the mattress from all six sides and is therefore not 100% bed bug and dust mite proof. It can also move and shift as you’re sleeping if it hasn’t been properly fitted to your mattress. 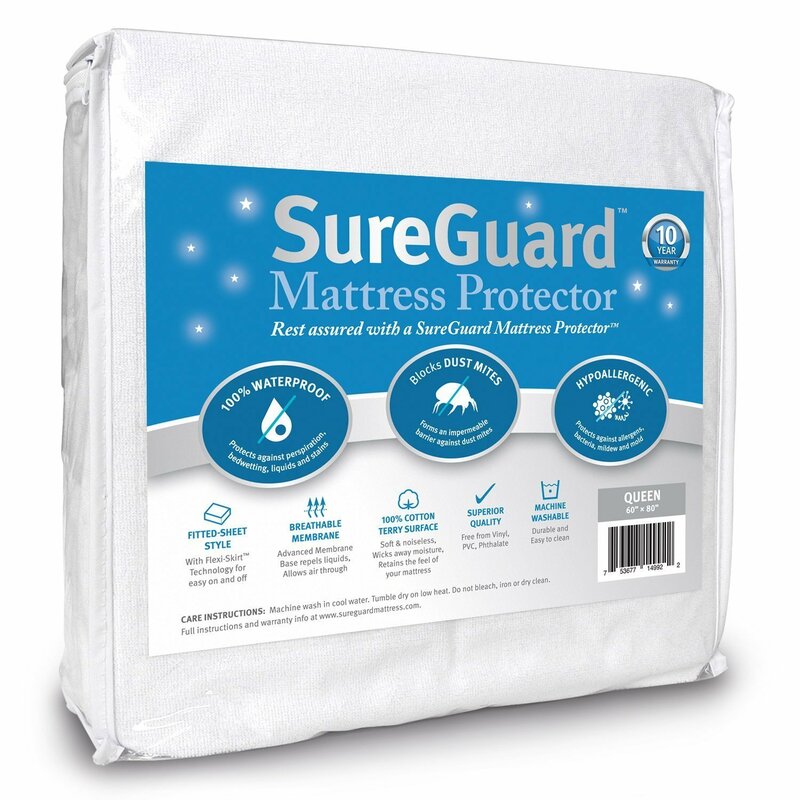 The SureGuard mattress protector is a very comfortable piece of bedding to sleep in thanks to its soft cotton fabric. This SureGuard mattress cover shows excellent waterproof qualities and with help with sweat and other bodily fluids. The hypoallergenic properties of this mattress cover block most dust mites, as well as other allergens mildew, bacteria, and mold. The 10-Year warranty guarantees quality. This isn’t a fully enclosed mattress protector and only stays on the top side of the mattress. This mattress cover doesn’t protect against bed bugs. The SureGuard mattress cover may not enclose your mattress from all six sides – and therefore provide less dust mite protection and no bed bug protection – but it still displays excellent hypoallergenic qualities. It’s also waterproof and very comfortable to sleep in. The UltraPlush Premium Mattress Protector comes with an impressive 20-Year warranty period and is hypoallergenic and comfortable to sleep in. It lacks a bit in the waterproof department, however. This Utopia Bedding gives you 6-side zippered protection against dust mites and bed bugs. The Utopia Bedding Mattress Encasement is waterproof and hypoallergenic but isn’t as comfortable as some other mattress covers. This Linenspa Mattress Encasement offers excellent waterproof and hypoallergenic properties, as well as dust mite protection. It can retain a bit of heat, however. The PlushDeluxe Mattress Encasement works great against dust mites as well as bed bugs. It’s hypoallergenic but it does retain heat. This Red Nomad Mattress Encasement from Red Nomad is a waterproof 6-side encasement that helps with allergies, asthma and other respiratory problems. It is dust mite proof and waterproof but not as comfortable as others. This Four Seasons Essentials Mattress Cover is excellent against bed bugs and dust mites and is both hypoallergenic and waterproof. It retains a bit of heat, however, so keep that in mind. Last but not least, the TRU Lite Bedding Premium Mattress Protector is both dust mite proof, waterproof and hypoallergenic, but it can be noisy for some people. Dust mite allergies are a frequent and annoying problem as many scientific institutions such as the Mayo Clinic tend to remind us. 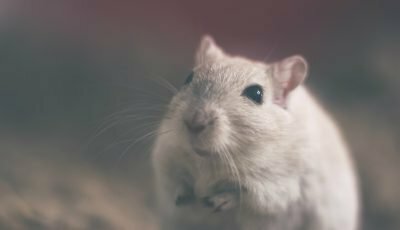 It’s very common for people to not realize that they are experiencing respiratory or allergic reactions to dust mites and to just chuck it all to “getting old” or accept it for what it is. Symptoms such as a sore throat, difficulties breathing, red eyes, insufficient rest while sleeping, and so on, however, are often indicators of a dust mite allergy. Dust mites are microscopic organisms that are basically everywhere around us. They feed off the dead skin we shed every day and dwell happily in warm and humid environments that have lots of dust and dead skin. The thing that we often have an allergic or respiratory reaction to is the excrements and dead bodies of dust mites that are left behind. Simply put, you can never fully rid yourself of dust mite because there will always be some floating around in your carpet, drapes or bedding. Our beds, in particular, are a haven for dust mites as they offer everything these bugs need to thrive. You can, however, reduce their numbers a great deal with the right instruments and thus – relief a lot of the symptoms that have been plaguing your sleep. A good dust mite mattress protector works by limiting your exposure to the dust mites that are in your mattress, as well as by preventing them from getting in in the first place and reproducing there. A proper hypoallergenic mattress cover can reduce the amount of dust mites in your bed by over 90%, making your sleep much more problem-free, restful and pleasant. In addition to that, most good dust mite mattress covers also offer bed bug protection and waterproof qualities. 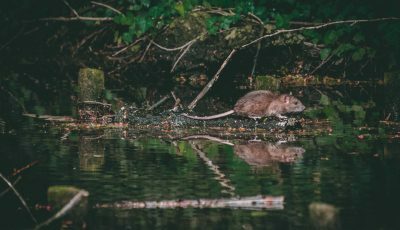 How much of these last two factors you need is another thing to consider, however, as they can sometimes come at the expense of some comfort? Waterproof mattress covers, in particular, often retain a bit of heat or are noisy to sleep in. They can also often be hard to wash and dry so if you don’t need something that is that waterproof, choosing an extra bit of comfort might be a good way to go. Keep in mind too that while basically all mattress covers are advertised as “waterproof”, in most cases this means that they whisk away moisture and sweat. When it comes to heavy-duty fluid problems such as vomit or urine, however, only a few mattress covers are waterproof enough to help and they usually do that at the cost of some of your comfort. Quality is of the highest importance. A lot of people are so used to having suboptimal sleeping experience that they don’t realize what they are missing. Giving yourself about 7 hours of truly restful and blissful sleep each night can make a great deal of difference throughout the rest of the day and the quality of your bedding is a big part of that. Settling for subpar quality materials can result in having a mattress cover that’s noisy, retains heat and is uncomfortable to sleep in. Waterproof qualities vs comfort. Most mattress protectors are advertised as being “100% waterproof” but not all truly are. In fact, there is a great difference between a “waterproof” mattress that just protects against moisture and sweat, and one that can keep both urine and vomit away from your mattress. The thing is, however, you might not necessarily want the latter – mattress covers that are designed for fully waterproof effectiveness are usually less comfortable to sleep in, noisier and more heat-retaining than others. Consider carefully how water-resistant you need your mattress cover to be and how much comfort you are ready to sacrifice. Do you need a 6-side mattress protector or just a cover? For things such as dust mites and bed bugs, a full-size mattress protector that encapsulates your mattress from all six sides is often required. 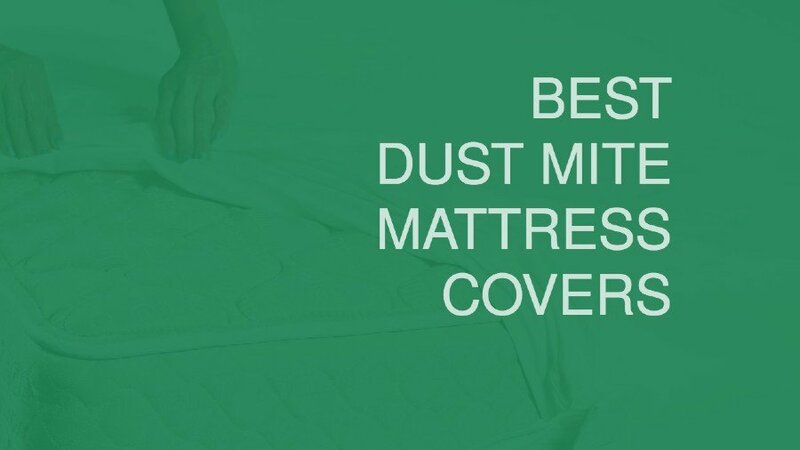 If the bottom part of your mattress is open then there is nothing to stop bed bugs or dust mites from setting up shop in it and the top cover will only delay them for a bit. At the same time, however, if all you need is a waterproof cover that offers some hypoallergenic qualities, then maybe you don’t need a 6-side protector. Don’t ignore the zip. For 6-side mattress protectors, the zipper mechanism is very important and yet – frequently ignored. Not only can subpar zippers let dust mites and bed bugs run wild in your bedding but they also break frequently. It doesn’t matter how high the quality of the fabric is if the zipper breaks after two trips to the washing machine you are going to have a bad time. Don’t fixate on the price. Mattress protectors are not exactly “cheap” but keep in mind that these are items that are meant to last for more than a decade with the proper care. When choosing a mattress protector it is much wiser to focus on the quality and longevity of the product rather than on its initial price. Don’t ignore the warranty of the mattress protector. The average warranty periods you’ll see on most top quality mattress protectors are 5 and 10 years. Some will offer you 20-year warranty periods which is stellar while a lot of others will give you just one or two years of warranty. Needless to say, we don’t recommend you buying anything with less than 5 years warranty. Band matters. You should read a lot of reviews, opinions, and articles before making your final decisions, that’s true, but if you are a loss as to what to choose, don’t ignore the brands of the products you’re looking at. There are brands with decades of high-quality products and history and there are brands with less prestigious reputations. The ones we’d advise you to keep in mind include Utopia Bedding, Red Nomad, TRU Lite Bedding, SafeRest, SureGuard, PlushDeluxe, Four Seasons Essentials, Hospitology Products, Linenspa, and UltraPlush. Wash your mattress protector regularly. A dust mite mattress protector might serve to keep your mattress clean and safe but that won’t do you much good if you let the mattress protector itself become dirty. For good bed hygiene make sure that you are washing your mattress protector often enough. Exercise care when washing your mattress protector. Keeping your protector clean is one thing, but damaging it in the process is another. Every mattress protector comes with a clear set of instructions as to how best to wash it and dry it off. Temperature, types of detergents, cycle speed, ways to dry – these are all factors that differ from one mattress protector to another. Keep in mind that a lot of mattress protectors, particularly waterproof ones, tend to retain a lot of water when they are being washed and take a while to dry off. This isn’t necessarily a negative, it’s just something to remember and consider. Switch between to mattress protectors. Just like sheets and other bedding fabrics, it’s best to have at least two sets to rotate while the other is drying off. Keep your mattress protector as safe as possible. The fact that a mattress protector is waterproof doesn’t mean that you should test it every night. The more abuse your mattress protector goes through, the less time it will be able to serve you properly. Keep your bedroom clutter-free and clean. Good overall hygiene in your bedroom and home will mean less dirt and dust to plague your bed and mattress protector. The SafeRest Premium dust mite mattress cover offers excellent dust mite protection and hypoallergenic properties. It will ensure a cozy sleeping experience to all people with respiratory problems such as asthma or allergies while also being waterproof. 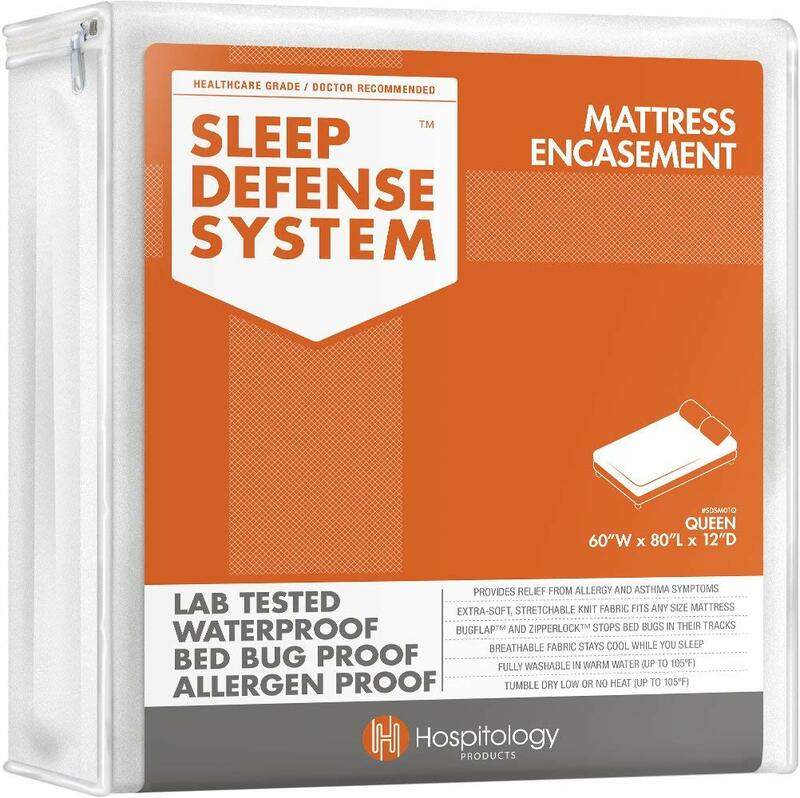 The Sleep Defense System mattress encasements by Hospitology Products impress with their waterproof and hypoallergenic properties. They are noiseless and comfortable to sleep in, although they can retain a bit of heat. The SureGuard mattress protector displays a lot of qualities we look for in a dust mite mattress cover. It’s hypoallergenic and waterproof while also demonstrating a high level of comfort and coziness to sleep in. It doesn’t retain heat and it’s easy to wash and maintain. Its one downside is that it doesn’t cover all six sides of the mattress. What Are Those Tiny White Bugs on Plants?